BLD’S 10TH YEAR AT EDINBURGH FRINGE! Baby Loves Disco returns to the Edinburgh Festival Fringe for our 10th year in August 2018! Fringe sell-out nine years running! The original family dance party is back, bigger and better than ever, celebrating our 10th anniversary on the Fringe. From the legendary Jam House, club DJs mix the best tunes from the BLD decade with floor-fillers from the years before parenthood struck, via our spinning wheel of tunes. Two hours of festival day-clubbing for parents, babies and young kids. Face-painting, dress-up, chill-out zone, selfie booth, crafts, kids drinks and healthy snacks (sandwich platters at midday), and definitely 10th birthday cake, all included in entry. 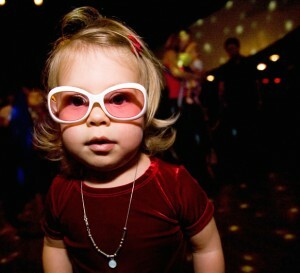 With a licensed bar for mum and dad, you’ll be partying like its 2009!